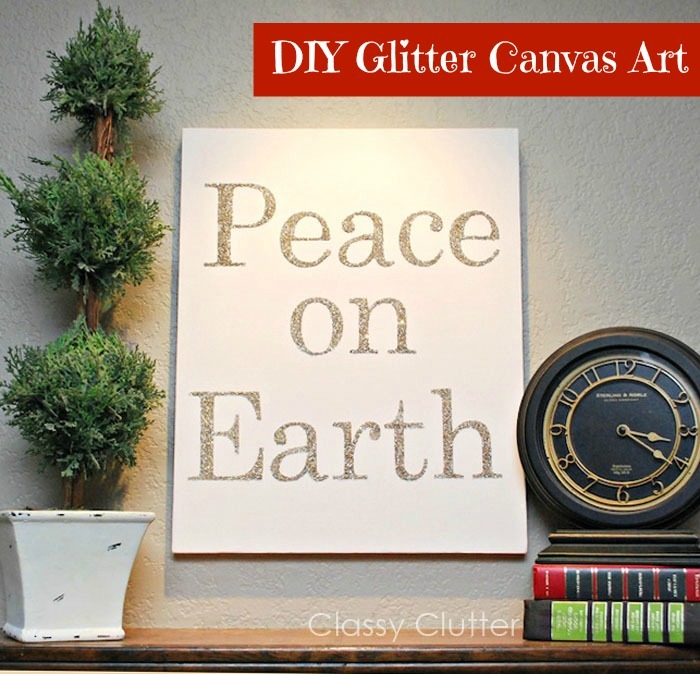 Today we’re super excited to share this simple, sparkly DIY Christmas art with you! 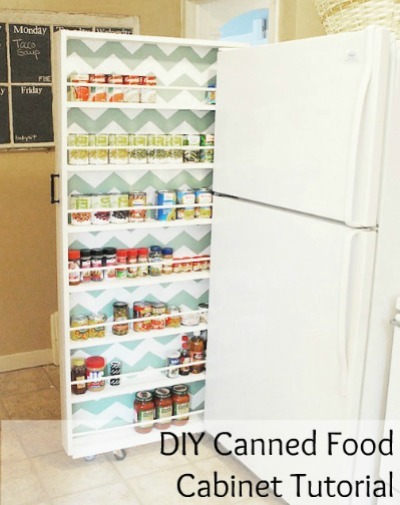 It’s so easy to make and it is definitely a statement piece! 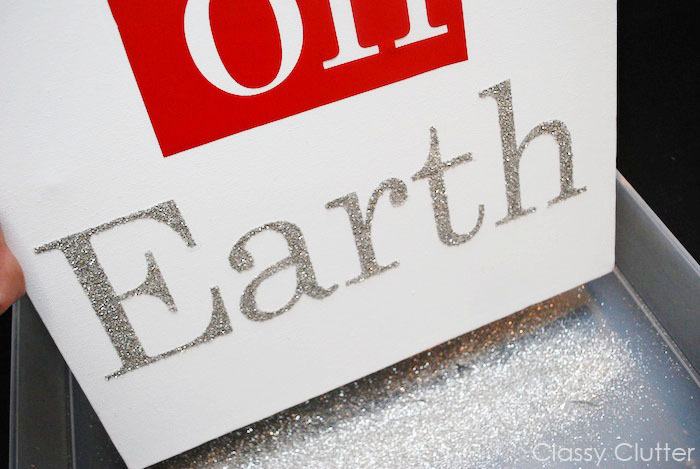 A vinyl stencil – make your own or purchase one here. 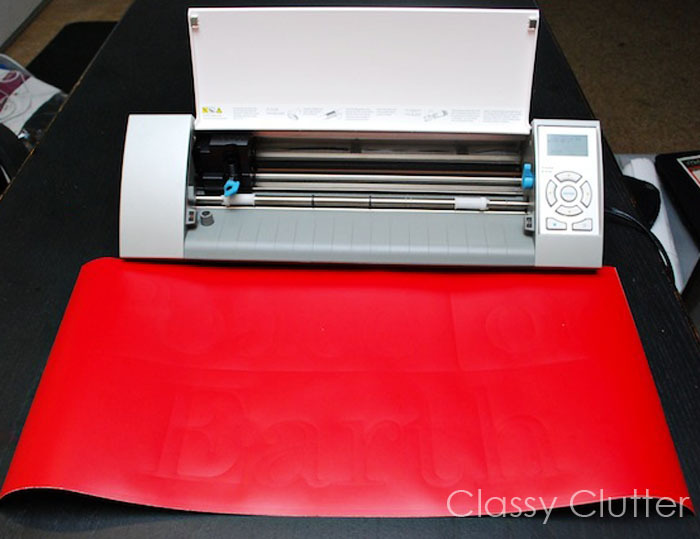 First, you can use a Silhouette or cricut to cut the out a stencil for your lettering. 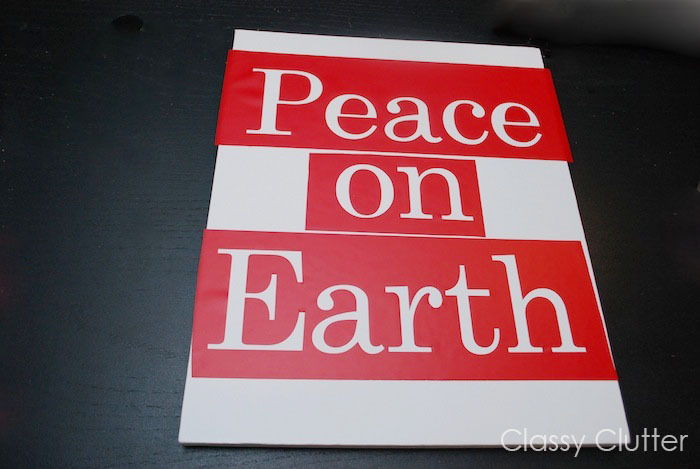 If you’d like, you can purchase the Peace on Earth stencil or other Christmas stencils from here. 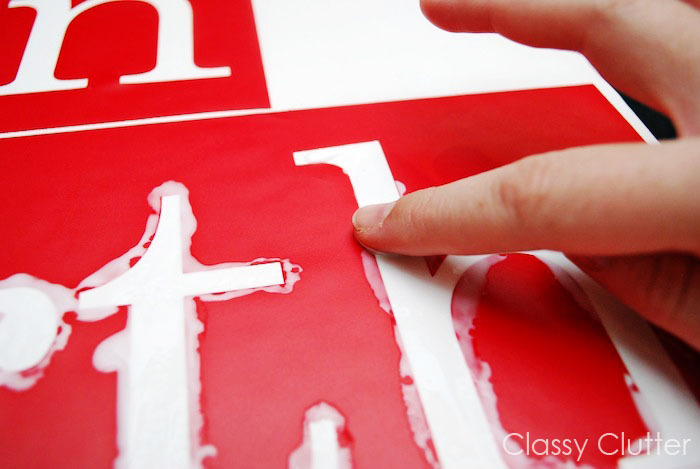 Next, you will remove the letters from the vinyl stencil. If you purchase one, this will be done for you. Next, apply your stencil however you’d like to position it on the canvas. Next, take a small paint brush or your finger to apply the glue or Mod Podge to the canvas. Elmer’s glue and Fingers work best! We used school glue because its a bit stickier than Mod Podge and much cheaper. 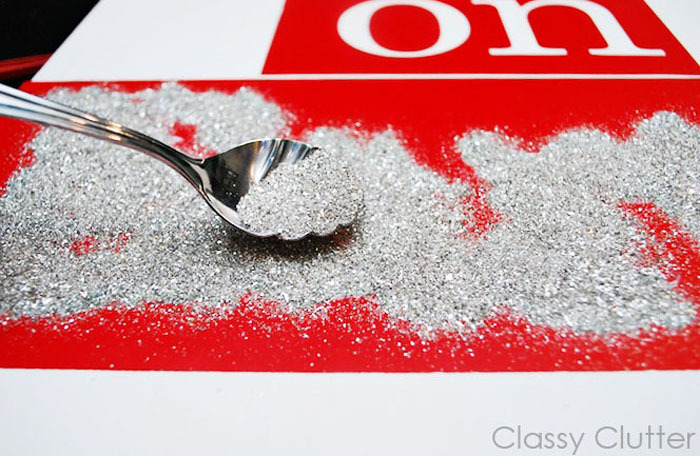 Then, you’ll want to apply a generous amount of glitter to the glue while it’s tacky. We used German Glitter Glass (available on eBay) and my goodness it’s pretty! Any type of glitter will look great though! 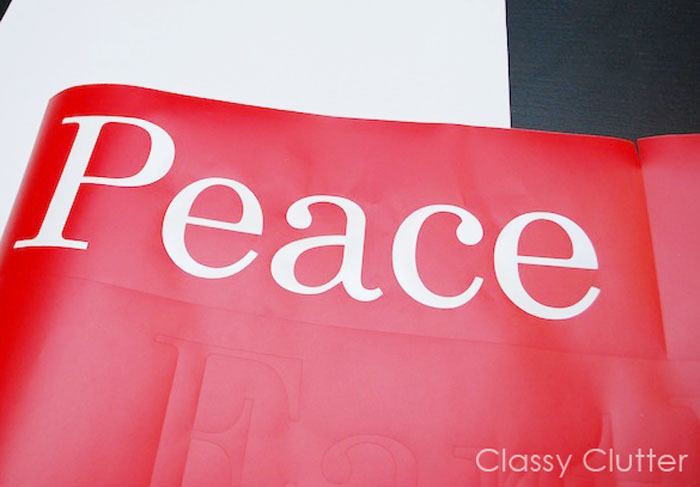 Finally, remove your stencil by peeling the vinyl off of the canvas. 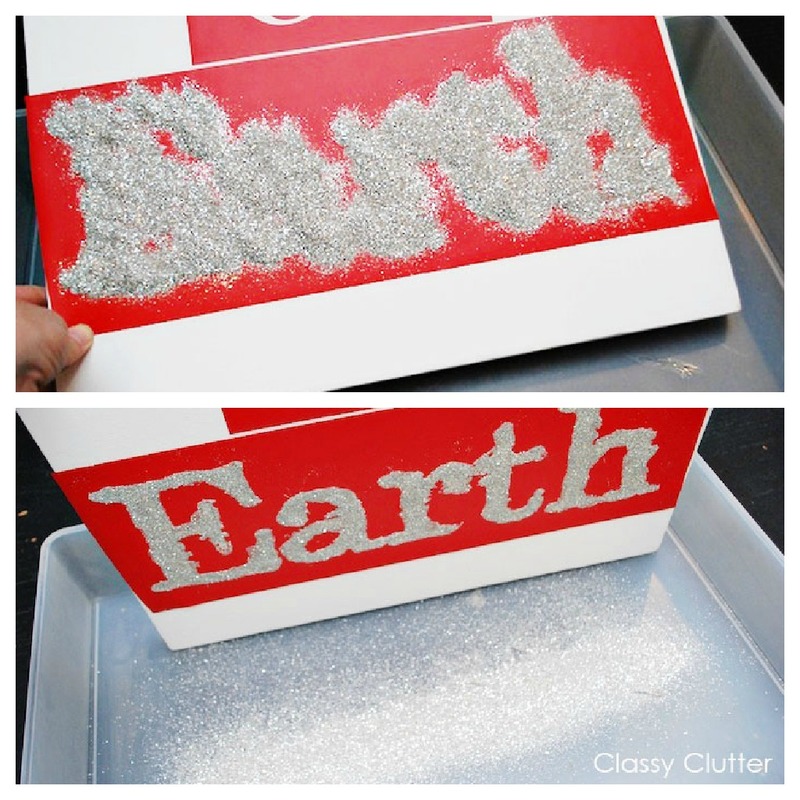 It’s best to do one word at a time to minimize the glittery mess and so your glue doesn’t dry before you get the glitter applied. 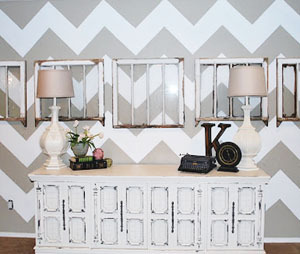 When your stencils are removed, you’re done! 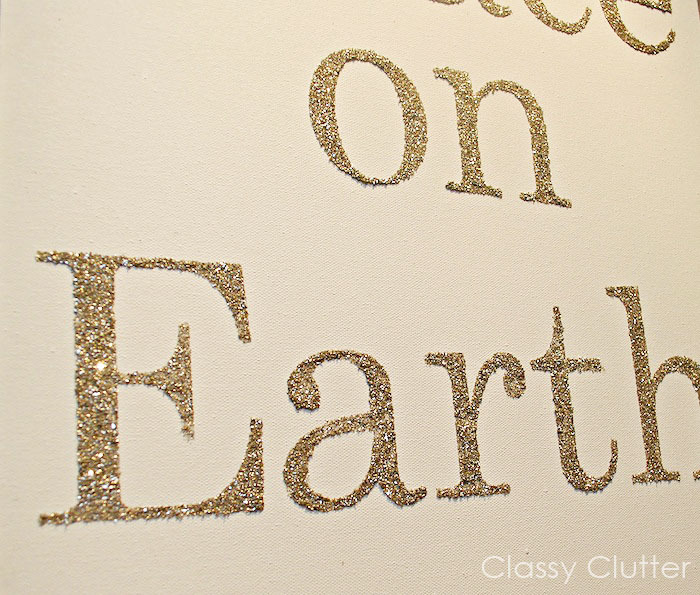 Doesn’t glitter just scream Christmas!? We sure think so! Oh I just love the Christmas sparkle! Love this sign but don’t have time to make your own? 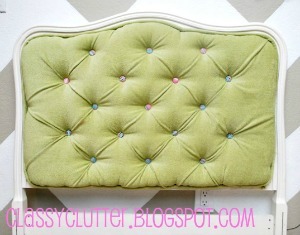 Head over to Savannah’s Etsy Shop, Feathers in your Nest and order one! She also does custom orders. We sure hope you like it! 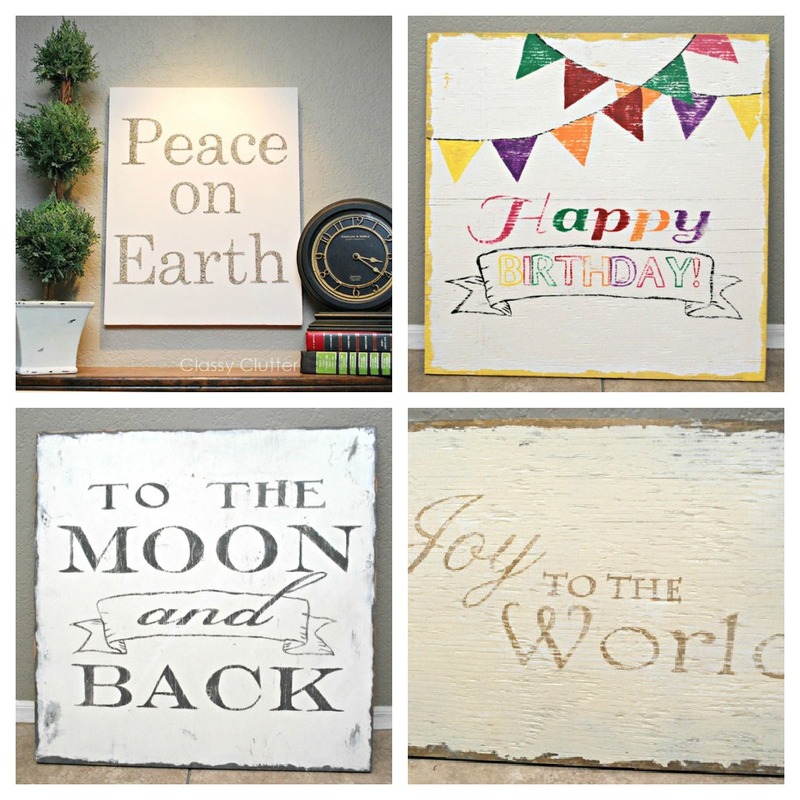 These would make amazing Christmas gifts too. 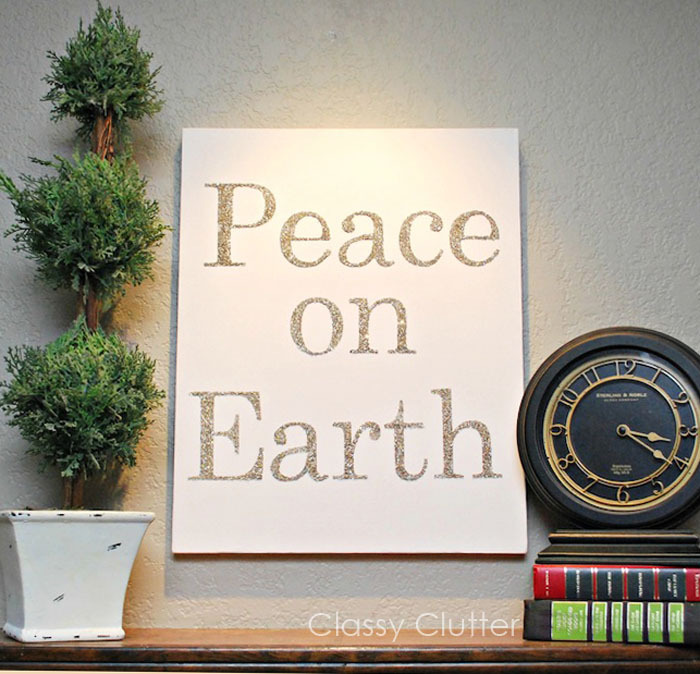 I can think of a million Christmas-y sayings that I’m dying to get on a canvas.